The Bride and Groom spend months, even years planning, imagining and bringing to life the wedding of their dreams. As you walk down that aisle you want to know that you did everything in your power to make your skin glow. But no matter your skin type the “glow” will not magically appear. You must plan and prep your skin for its magical debut. There are simple steps you can take to prep your skin for the big day but you need time to rejuvenate and repair it. The last thing you want to do is to try new products and treatments right before the wedding. To get the best results start treating your skin and face 3-6 months before the wedding. “Over treating or introducing new products to your face and skin right before the wedding often causes breakouts and red skin. If you have already developed an effective skin routine and are managing specific skin issues, don’t change it; just be diligent in maintaining it. The reality is that the months leading up to the wedding are exciting and stressed filled. As simple as it may sound, managing stress well remains one of the best things you can do to minimise impact on your skin. 3-6 months before the Wedding - Consult a Skin Expert. Let a skin therapist evaluate your skin and recommend a regimen to suit your skin needs. Taking the time to do this correctly will have a significant impact on the look and feel of your skin on your wedding day. During the skin consultation you will want to learn your skin type and then determine the best products to use on your skin and face. You will also want to know how often you should be cleansing, exfoliating, hydrating and applying sunscreen. There are 3 ranges of skin tone: light, medium and dark. A skilled skin therapist can help evaluate the best products and skin treatments to give your skin an even skin tone. Once they evaluate your skin they can recommend products and treatment options. Your skin type is very important because it will determine your approach to cleansing, exfoliating, moisturising and protecting your skin in order to maximise its even tone and soft texture. There are 5 skin types: Dry, combination, oily, sensitive and acne prone skin. If your skin reacts poorly to stress, let your Therapist know and they may be able to give you advice so you can be prepared for it. 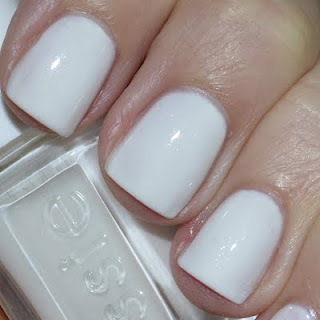 The magic to glowing skin is rejuvenating its even tone and soft and subtle texture. It will make your skin look young, vibrant and beautiful. During a facial the Therapist will analyse your face and describe each product and the treatments they are performing in detail. 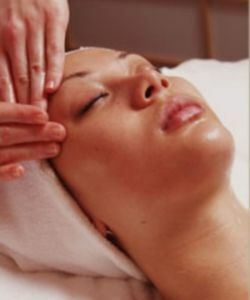 They will clean, exfoliate, hydrate and moisturise your skin during the facial along with lots more. After the facial, you should receive a written list of all of the products used and any skin recommendations. With the wedding date in mind she will help you formulate a skin plan that will include additional facials and treatments. With the list of skin products, a regimen that you can maintain between facials, and the next facial scheduled you will be on your way. Make an appointment for your next facial before you leave the spa. The more consistent you are in managing the process, the better your skin will look on your wedding day. Three to Six months prior to the wedding plan your body slimming and toning treatments. Depending on how much you would like to lose – have a consultation well in advance with a body therapist who specialises in this area. Endermology is a body is very popular and effective. New LIFE body is also excellent – this is a micro-current treatment that helps to sculpt and tone the body. You can choose to have a full body and face sculpting at the same time for fabulous results. We also offer body wraps / slimming massage and hydrotherapy to help achieve the results you desire. Ensure that you do at least 30 minutes exercise daily – alternate cardio / boot camp exercise classes with a good brisk walk. We recommend that you do some dry body brushing all over on dry skin prior to your shower daily to improve circulation. Book a couple of professional body exfoliation treatments to ensure that your skin is vibrant .This will make your skin glow and ensure a more even and professional looking spray tan. Next, book a trial spray tan – look for a light to medium spray tan, it all depends on your skin tone. It is important to remember you are wearing a pale colour so a very dark tan will look unnatural and this will be evident forever in your video and photos. The goal is to even out the light and dark areas of your skin so you can enjoy wearing the dress. By doing these 3 months before the wedding you can plan, adjust and decide if a spray tan is for you. You will be able to see what works and how your skin reacts to the spray. Make sure you spray tan a few times before the wedding so you can perfect the process. We offer two options of organic spray tan. Spray tans are messy so make sure you have older clothes and underwear to wear home from the salon- always choose loose fitting clothes and flip-flops. For the best results you need to wait 12-24 hours before showering. There are a variety of chemical peels that range from gentle to strong and are appropriate for specific skin types and treatment needs, so make sure your skin can tolerate a chemical peel. A patch test is a good starting point followed by a detailed consultation. 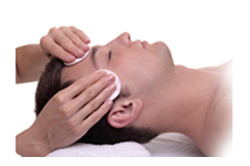 A chemical peel will take off the top layer of your skin to accelerate skin cell rejuvenation. There is some downtime for healing, but once the discoloured skin is gone and it heals there should be a noticeable difference in your skin. A procedure called micro-dermabrasion removes dead skin. Jet peel is another option available. Both are designed to eliminate damaged skin and reduce the appearance of scars and dark skin spots. During times of stress ,sensitive skin in particular can experience upheaval and be most affected by it. Skin experts warn against any skin product or regimen change. Keep up with your current skin routine of hydration, sleep and staying out of the sun to help avoid skin reaction to stress. • Drink at least 8 glasses of water a day (more if you are exercising). • Use hydrating masks as recommended. • Energetic sweaty workouts will relieve stress and help with weight loss plus boost circulation and promote beautiful, healthy skin. • Take up Yoga to minimise stress and strengthen your body. Avoid over exposure to the Sun. • Use a minimum of factor 30 broad spectrum SPF all over your body before you leave for the day. If you are out in the sun make sure you reapply the sunscreen on a regular basis. • Avoid unattractive suntan lines. • Doctors recommend 8 hours of sleep a night. Adequate sleep will have restorative effects on your skin, and it gives time for the body to heal and repair. Also, enough sleep helps to diminish dark, puffy circles under the eyes and bloodshot eyes. • Eat lots of foods that are rich in antioxidants. • Eat fresh wholesome locally sourced foods and let food nourish your body. Keep skin damaging lifestyle choices to a minimum. • If you smoke, try to stop as it has very negative affects for your skin. • Eliminate alcohol if possible. • Avoid using harsh skin products. Many people overdo it with their skin routine and end up damaging their skin in the process. A gentle approach is best for your skin. The distant ring of wedding bells keeps you going at this point of the preparation. 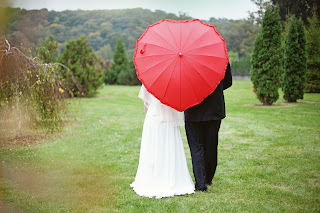 The wedding date is approaching fast and you are busy with all the last minute details. Schedule your last facial for 3-5 days before the wedding. Make sure the technician is gentle; a light touch is best right before the big day. A jet peel can have your skin looking amazing at this point. The Groom would love this facial too. This is an important habit to establish long term but right now you really need it. It seems impossible to get the standard 8-hour of sleep in the month leading up to the wedding – you will be glad that you did. If you need any facial waxing/ threading, especially eyebrows or above the lip line make sure you have it done at least one week before the wedding unless you are very dark with a quick regrowth. The best skin and stress reducing advice for any bride leading up to the wedding is to delegate. You will reach your limit and the best way to reduce it is to say YES when help is offered. • Make a list of tasks that others can perform. • Recruit the right person for each project and task. Allow adequate time and effort to prepare for the perfect day now to reap the benefits on your wedding day-you deserve it! This is very nice blog post in this blog. Thanks for this best sharing……….